Please forgive the lack of posts. The move back to the United States, the beginning of the academic year, new duties as Director of Undergraduate Studies for Film Studies at Yale, a new course in Japanese popular culture, and articles and other things to write - all of that has kept my nose to the grindstone. But it was nice to receive in the mail the other day the third volume of the Nihon eiga wa ikite iru 『日本映画は生きている』 series that I talked about earlier. This one is numbered volume two and is entitled Eigashi o yominaosu. I have a piece in it. Volume 2: Eigashi o yominaosu『映画史を読み直す 』. 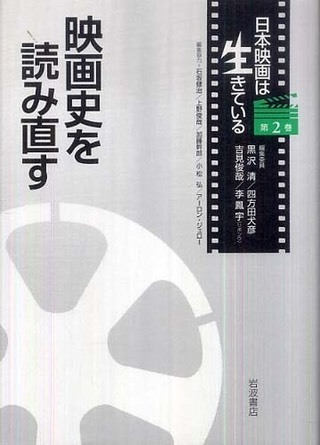 The volume focusing on Japanese film history supervised by Komatsu Hiroshi. Contributors include Okada Hidenori (of the Film Center and Caro Diario fame), Kato Mikiro, Roland Domenig, Ogawa Sawako, Ogawa Junko, Nagato Yohei, my student Yamamoto Naoki, and myself. There are also interviews with the benshi Sawato Midori and the film historian and bibliographer Makino Mamoru (the subject of our festschrift). 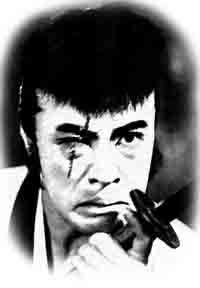 My essay, which was again translated by Tsunoda Takuya, a Yale grad student in Japanese film, is entitled "Benshi ni tsuite," and is largely a summary of my arguments about the benshi contained in Visions of Japanese Modernity.